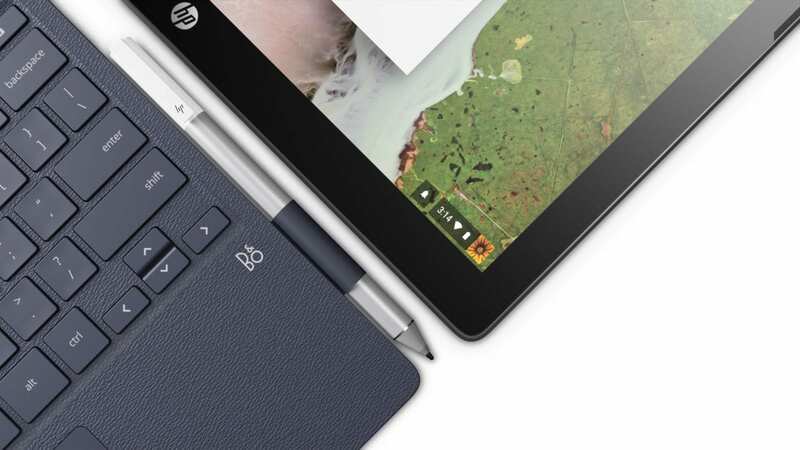 We’ve known for some time that a more powerful and inherently more capable HP Chromebook x2 exists but apart from a dogfood device and some technical documents, we’ve yet to hear of the Core i5 detachable coming to market. Thanks to Kevin Tofel of AboutChromebooks, we now have more evidence that a new Chromebook x2 variant could be on the way. Well, at least in France. 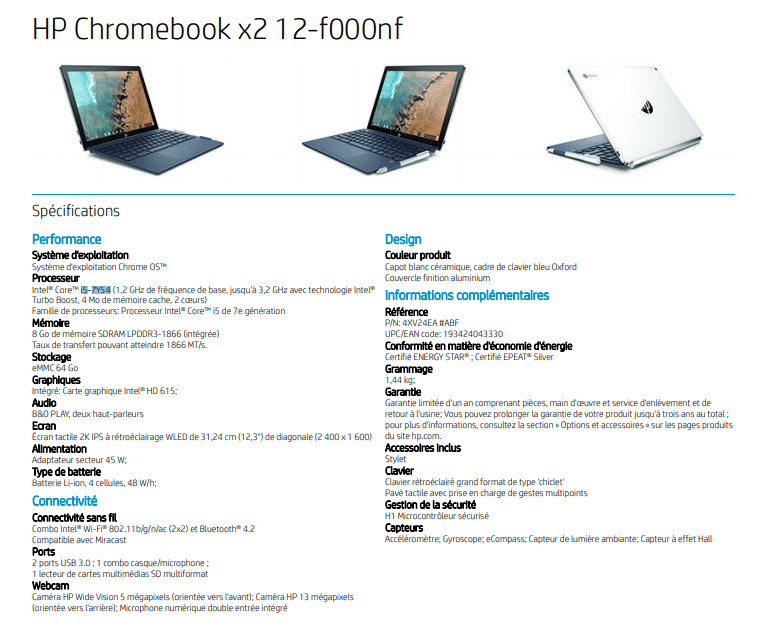 While searching through the HP website, Kevin uncovered a new product spec sheet written in French that details the unannounced Chromebook which features not only a Core i5-7Y54 processor but 8GB RAM and 64GB of storage. No product listing for the device can be found at the moment but the addition of the product sheet is a good indicator that the detachable could pop up for sale in France in the near future which is a surprising event considering the limited availability of flagship devices in Europe. The processor is very similar to the one found in the Core i5 Pixelbook and sports nearly identical specs with the exception of a marginally slower turbo boost and by marginal, we’re talking a mere .1 GHz. It is likely that this Chromebook’s performance will be on par with the Pixelbook. With the pending announcement of Google’s upcoming tablet, I think HP would do good to get this one in stores and selling before the holiday shopping season hits. The upgraded Chromebook x2 should support Linux apps out of the box and would be a great competitor for the Pixelbook lineup if the price is right. Kevin states that the device looked to be priced at €799.00 but with HP, that doesn’t tell us much about what it will be if and when it comes to the U.S.